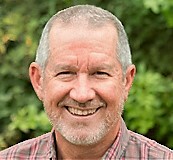 Licensed Florida Psychologist, Founder and Director Emeritus of Life Connections Counselor Center, Inc.
James Reed, PhD, is a licensed Florida psychologist and founder and Director Emeritus of Life Connections Counselor Center, Inc., a non-profit, 501(c)3 counseling center staffed entirely by Christians. Life Connections provides below market mental health services through their Barnabas Program, a client scholarship program funded by donations from the community. Jim grew up in Liberia, West Africa, the son of Christian missionaries working at a radio station. After receiving a BA in English from The University of Miami, he received an MACT in English and a PhD in Counseling Psychology from The University of Tennessee, Knoxville. Jim and his wife Beth have been married since 1982, have a married daughter with two grandsons, and a married son. They are involved in leadership at Candlewood Community Church in Land o Lakes. Since 2004 they have worked with the Brno Evangelical Fellowship church and IntegrityLife, a student ministry in the Czech Republic, providing English teaching teams for outreach English camps, marriage seminars, and parenting seminars. In his spare time he reads, flies his airplane, hunts, fishes, and plays golf.